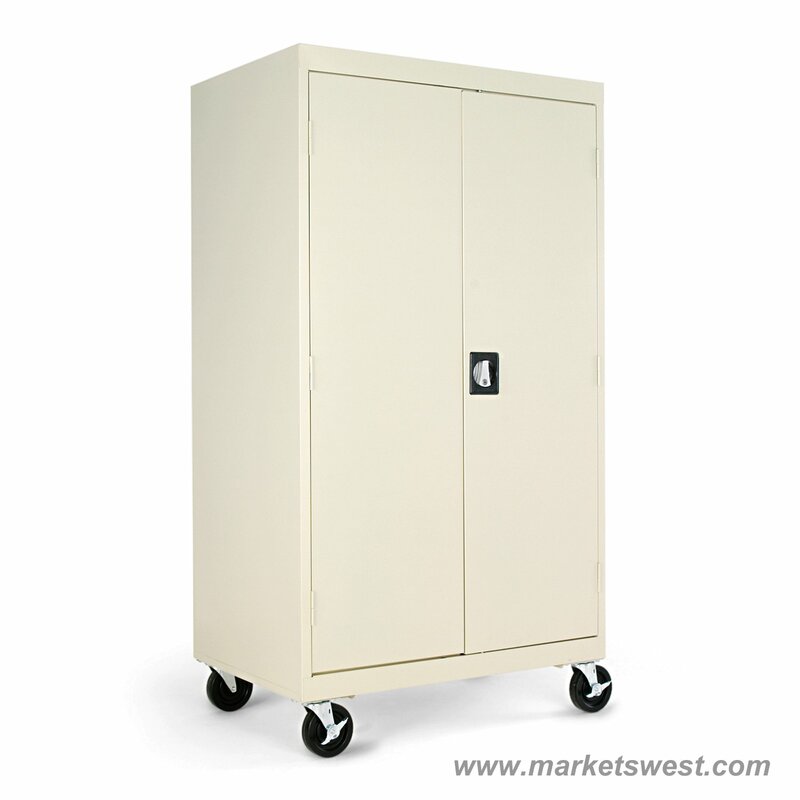 Fully enclosed, industrial grade welded steel cabinets hold up to 900 lbs. Secure three-point locking bar system locks top, bottom and doors. 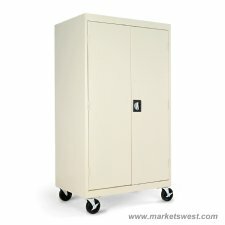 Reinforced doors with recessed handles open 180Â°. 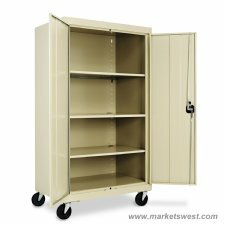 Heavy-duty caster base has four 5" casters, two locking. 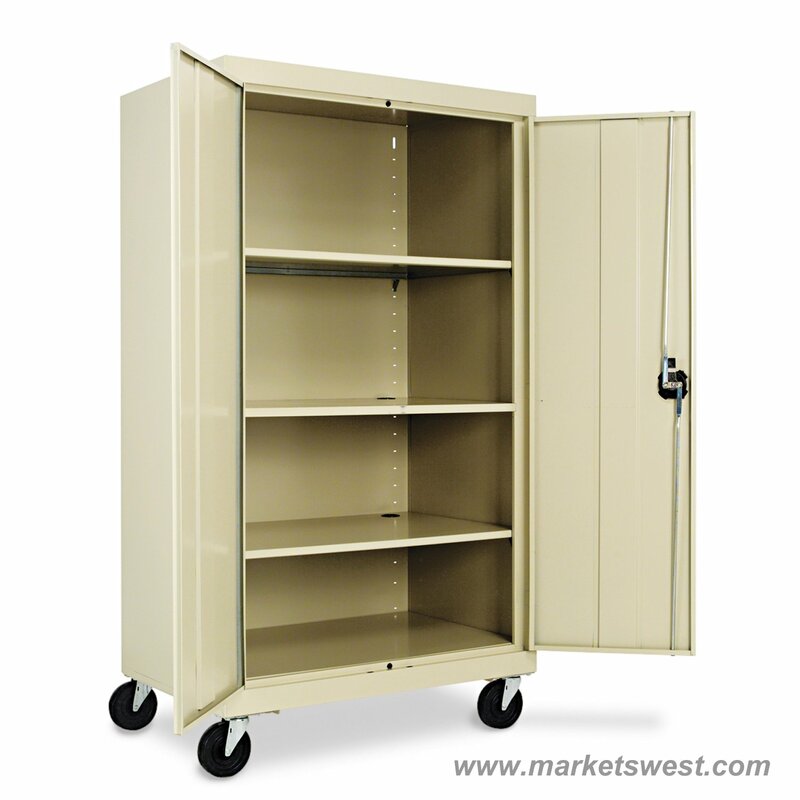 Reinforced doors with recessed handles open 180Â°. Carton Dimensions: . . . . . 63.75" x 38.25" x 26.62"
Weight: . . . . . . . . . . . . . . . . . . . . . . . . . . . 162 lbs.